If you're 5'4" or shorter- try these instead of a narrow pant. This ankle length is the perfect fit year round! 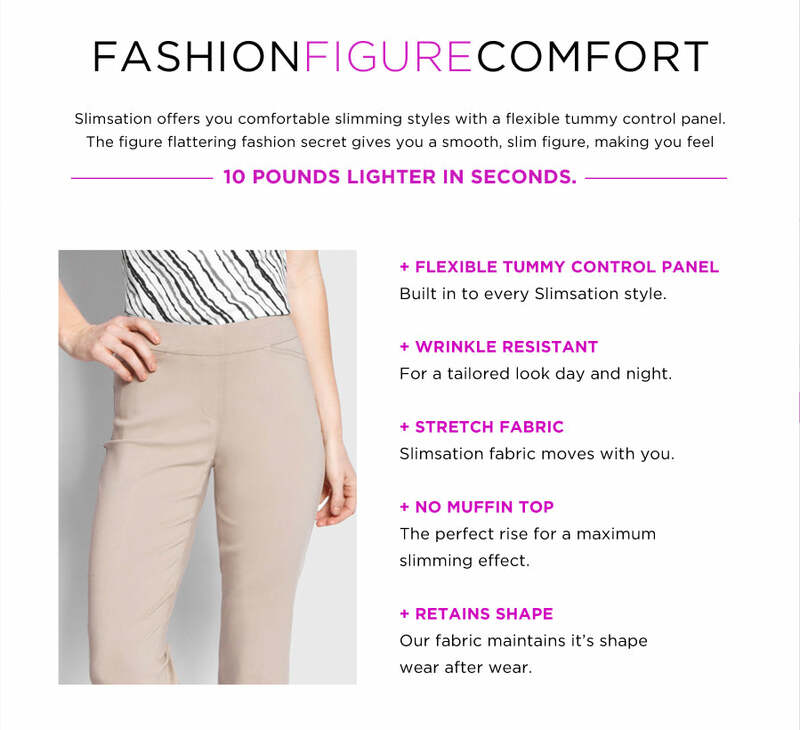 Ultra comfortable, wrinkle resistant, SlimSation stretch fabric feels beautiful on every.body! Thicker ponte fabric - you will love it! Average leg opening is 10 3/4"